9 Year Old and 8 Year Old Create Cross-Continent Mobile App in 5 Minutes! 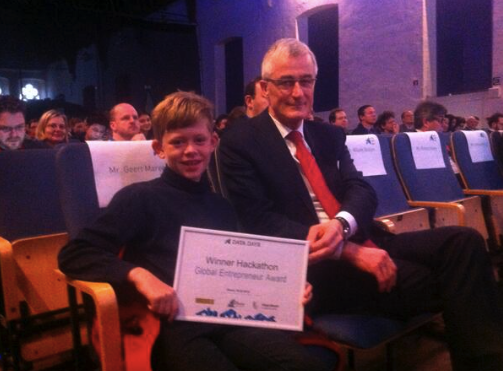 18 February 2014 - Data Days 2014 - Congress: Flemish ICT Minister Geert Bourgeois and United Nations eGovernment Advisor Richard Kerby today awarded a ‘Global Entrepreneur Award’ on behalf of Citadel-on-the-Move and the Linked Organization of Local Authorities to William Colglazier, age 9, and Alexander Glidden, age 8, for their new mobile App @Me-on-the-Move. The App breaks new ground by working in cities from Europe, North America and Africa. 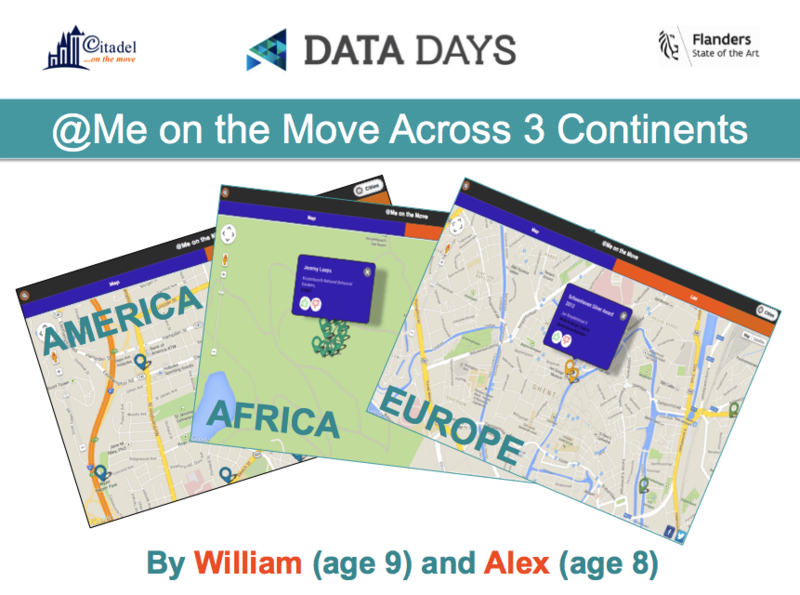 The boys received their award at DataDays 2104 – a 3 day conference sponsored by Citadel-on-the-Move that features Open Data developments from around the world. They plan to donate their prize money to help a school in a South African township in Cape Town buy computers. 1. Citadel-on-the-Move is an EU funded CIP-IST project which aims to make it easier to open and use data. The Linked Organisation of Local Authorities (LOLA) represents local government from around the world.